Left to right: Friends of the Lawrence Public Library book sale; "Lend Me a Tenor," the Santa Fe Depot. Book lovers can peruse tens of thousands of titles — all priced at less than $2 — at the Friends of the Lawrence Public Library’s spring book sale. Sue Hopkins, a Friends of the Lawrence Public Library board member, said that more than 64,000 bookstore-quality books — everything from coffee-table art books to popular fiction — are for sale. Plus, there are more than 8,000 CDs, DVDs and audiobooks available. All items are priced at $2 or less. 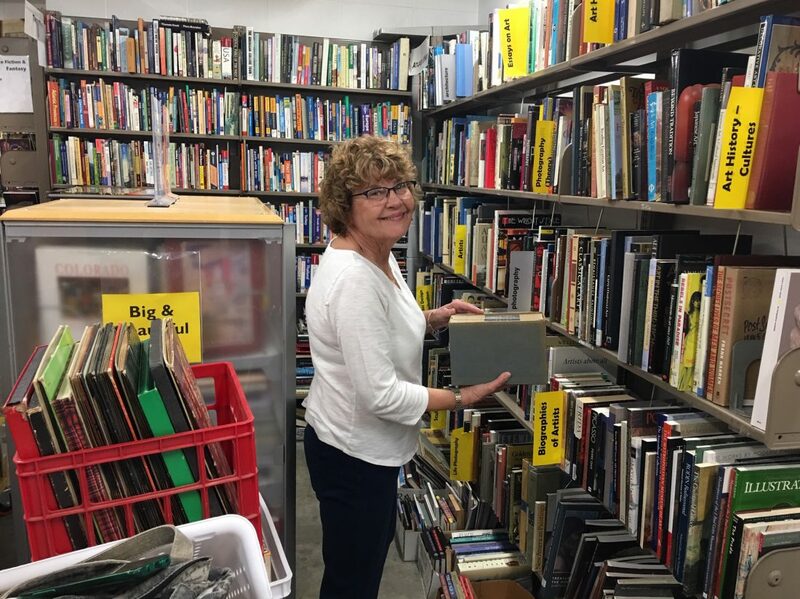 Sue Hopkins, a Friends of the Lawrence Public Library board member, stocks the shelves for the Friends’ spring book sale on Thursday, April 11, 2019, at the library, 707 Vermont St. 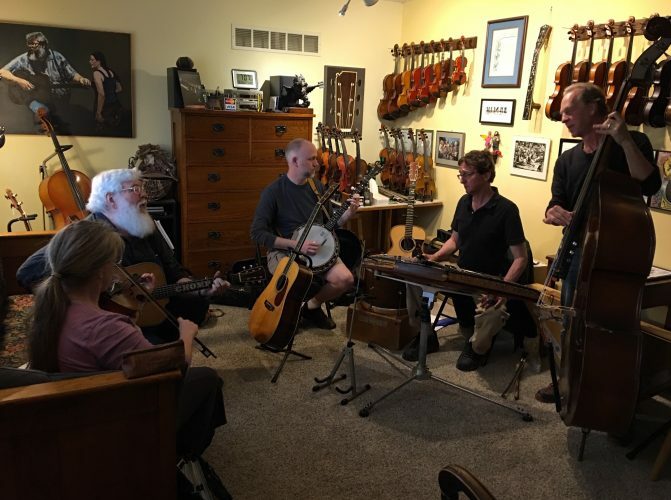 The sale runs 10 a.m. to 6 p.m. Friday and Saturday and noon to 4 p.m. Sunday in a room on the back side of the library, 707 Vermont St.
A team of people interested in putting on concerts in unconventional spaces is planning a show for Sunday, April 14, 2019, at the newly renovated Santa Fe Depot, pictured here in February 2019. Wonder Fair owner Paul DeGeorge and a team of people interested in putting on concerts in unconventional spaces will be bringing a show to the newly renovated Santa Fe Depot this weekend. The concert will feature Jeffrey Lewis & Los Bolts, Schwervon! and gōōgle, an act described on the event’s Facebook page as an “internet dystopia from Harry and the Potters/Life Coach team.” DeGeorge is one of the founders of Harry and the Potters. Doors open at 7 p.m. Sunday and the show begins at 7:45 p.m. at the depot, 413 E. Seventh St. Tickets are $10 and can be purchased at Wonder Fair, 841 Massachusetts St.; Love Garden Sounds, 822 Massachusetts St.; or at the door Sunday night. DeGeorge and the other concert organizers are part of a group called LAAND, or Lawrence All Ages Noise Destination. 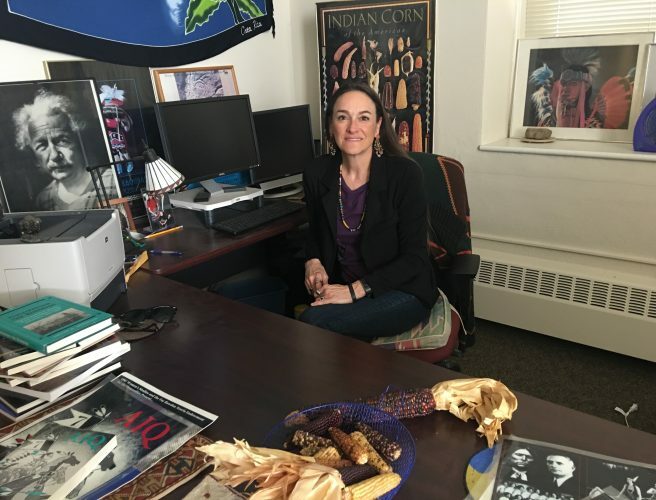 The group’s mission is to give people more opportunities to see concerts earlier in the evening and at venues that don’t normally host these types of events, DeGeorge said. 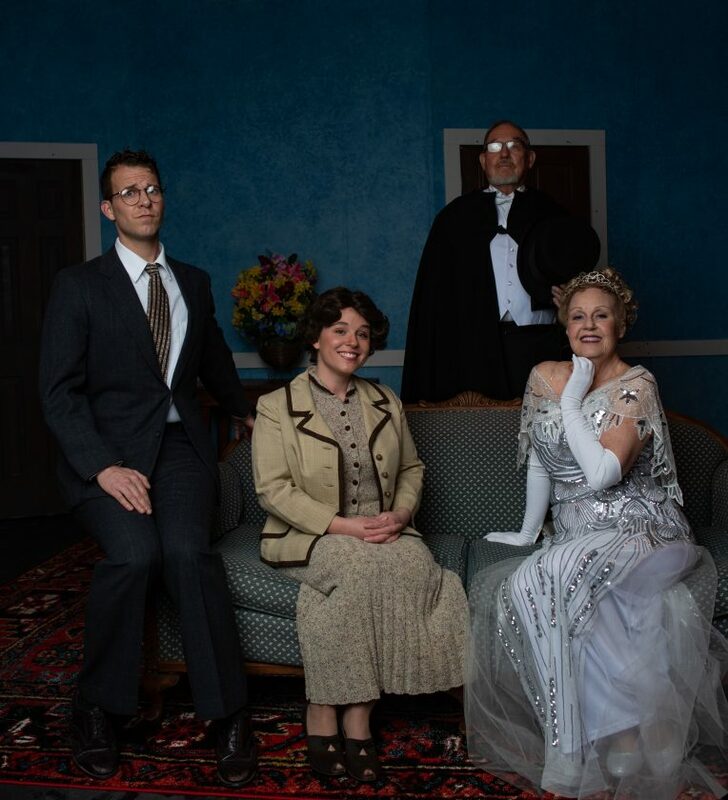 Cast members from Theatre Lawrence’s performance of “Lend Me a Tenor” include, left to right, Michael Dieker, Rachel Hamm, Chuck Mosley and Diane Wurzer. 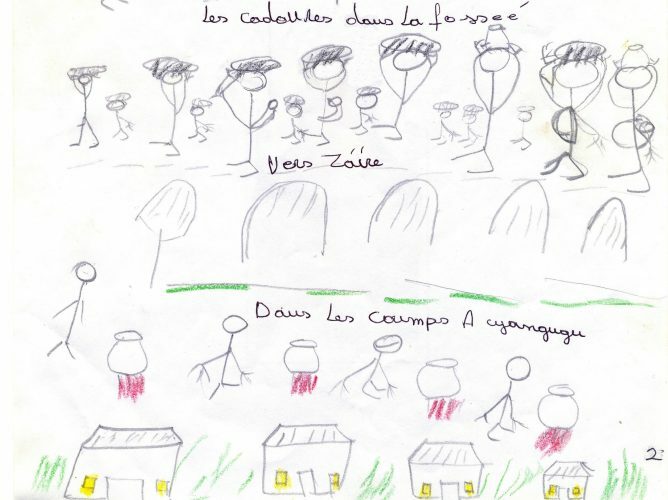 The show opens at 7:30 p.m. Friday, April 12, 2019, at Theatre Lawrence, 4660 Bauer Farm Drive. 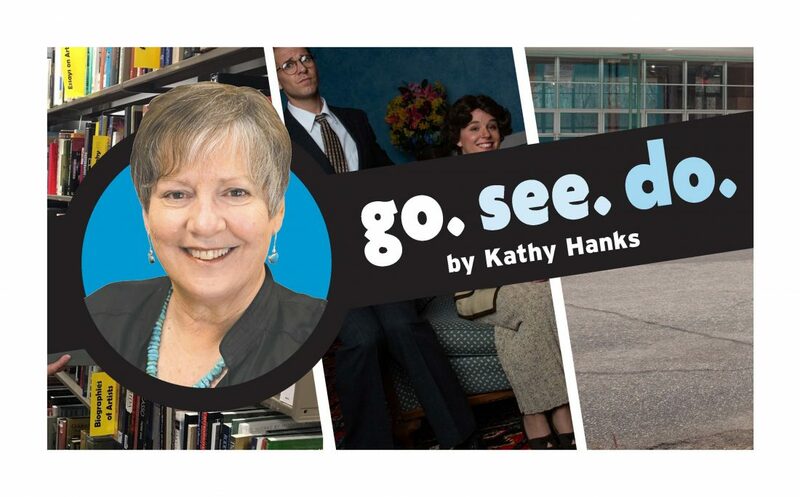 The Tony-winning play tells the story of an opera manager who’s forced to sort out a mess when his performance’s world-renowned star arrives late and, through a series of mishaps, is given a dose of tranquilizers and passes out. The show runs Thursdays, Fridays, Saturdays and Sundays through April 21. Thursday, Friday and Saturday performances are at 7:30 p.m., and Sunday matinee performances are at 2:30 p.m. Tickets are $26.99 and can be purchased online at theatrelawrence.com.